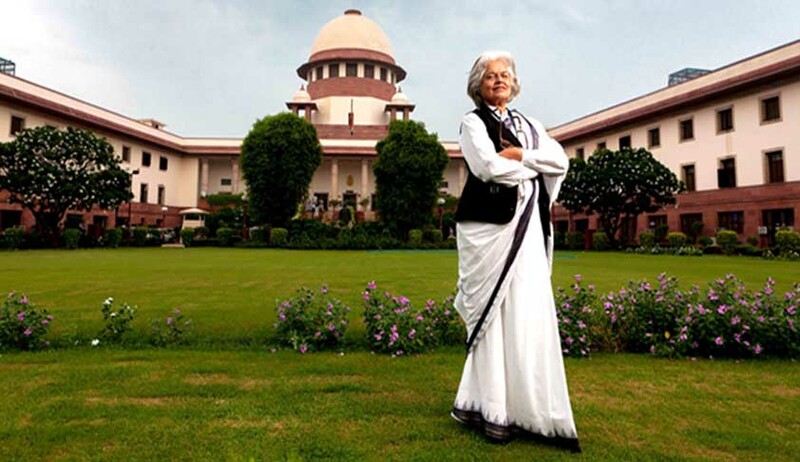 With the Supreme Court divided over questions of transparency in its functioning, Senior Advocate Indira Jaising has now approached the Apex Court demanding live streaming and video recording of cases of national importance. In the Petition, Ms. Jaising asserts that live telecast of such cases will increase access to courts, and will “negate the chances of any misreporting, errors or second-hand information”. The Petition, however, acknowledges that the Court may place restrictions on such videography in cases involving countervailing interests of privacy, such as family law and criminal law cases. She further contends that the "right to seek, receive information including live streaming of Supreme Court proceedings" is a Fundamental Right guaranteed under Article 19(1)(a) of the Constitution. She explains, "...our constitutional fabric is such that we accept the cardinal principle that justice must not only be done but seen to be done and thus it becomes essential that persons that may be affected by the Supreme Court’s decisions be able to access the same vide live streaming and video recording. Citizens including the Petitioner herein has a fundamental right under Article 19(1)(a) to receive information by way of live streaming of proceedings in the Supreme Court of India." Ms. Jaising also goes on to list down a few judgments which she classifies as being of "national importance". These include petitions relating to the constitutionality of Aadhaar, entry of women in Sabarimala and change of religious identity of Parsi woman. The list also includes Petitions demanding reconsideration of earlier judgments which had upheld IPC sections penalizing adultery and homosexuality. She then makes reference to the telecast of proceedings by both Houses of the Parliaments, submitting, "... the successful implementation of recording, telecasting and webcasting from the Parliament should follow to the Supreme Court, especially in matters of public importance, which will promote transparency and accountability in administration of justice and will inspire confidence of the public in the judiciary." Ms. Jaising further highlights the fact that in furtherance of the common law principle of ‘Open Justice’, various common law jurisdictions and International Courts have facilities for audio- video recording of proceedings, which are subsequently made available through various platforms. To this end, she also demands framing of guidelines for determination of cases as that of "constitutional and national importance having an impact on the public at large or a large number of people" that qualify for live streaming. She further sought a direction to the Centre to put in place the necessary infrastructure for live-streaming. Till the time such infrastructure is arranged, she asked the Court to record proceedings in such cases and upload it on its own YouTube channel. It may be recalled here that the Supreme Court had, in March last year, directed installation of CCTV cameras inside the Courts, and at important locations within the Court complexes in at least two districts in every State and Union Territory. Thereafter, in August, it had considered it desirable for CCTV cameras to be installed in all subordinate Courts as well. The Court had then opined that such installation should be undertaken in a phased manner, as considered appropriate by the respective High Courts. It had, therefore, directed that the schedule for such installation be laid down within one month, and information be furnished to the Apex Court within two months. Audio recording, it had said, may also be done. It had also favored early installation of CCTV cameras in Courts, noting that such recording would be in "larger public interest" during a hearing in November. The Bench comprising Justice A.K. Goel and Justice U.U. Lalit had, in fact, remarked, "What privacy? This is not a case of privacy. We don't need privacy here. Judges don't need privacy in court proceedings. Nothing private is happening here. We all are sitting in front of you." "Therefore, with the Supreme Court proceedings in the past,Ms. Jaising's Petition now prays"
D. Issue a mandamus to Respondents number 2,3, and 4 to make available all the necessary infrastructure required to live stream and/or video record proceedings in the Supreme Court. E. Pending the availability of the infrastructure for live streaming, issue a writ of mandamus or direction directing the Respondent-1 representing Chief Justice and Judges of the Supreme Court court to record the proceedings of the court in matters of constitutional and national importance that impact the public at large and to upload these on its own YouTube channel which must be created, and would qualify for live streaming till the time the facility of live streaming is arranged. Such a channel would be cost effective and can be immediately put in place until arrangements are made for live streaming from infrastructure in Court..."